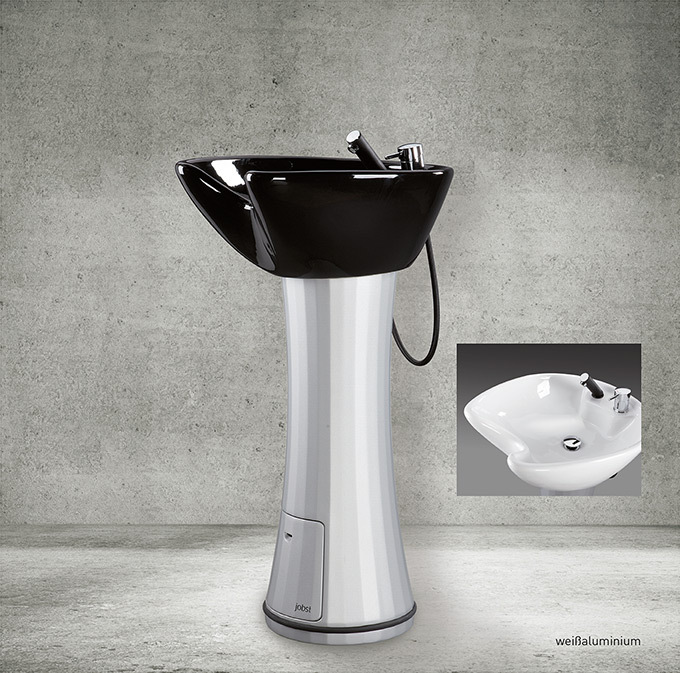 Column made from GRP glass-fibre reinforced plastic, enamelled in colour, with larger washbasin. 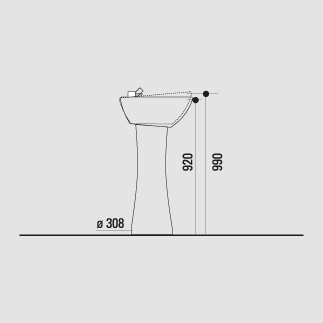 The porcelain washbasin in white or black can be turned through 360° and is tiltable, incl. AquaPLUS single lever mixer tap with ceramic seal. It is delivered complete incl. siphon and stopcocks for hot and cold water. Column made from glass-fibre reinforced plastic, enamelled in colour. Long term spare parts supply guaranteed.